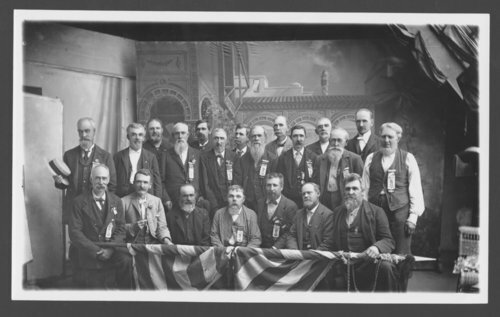 This black and white photograph shows members from the Grand Army of the Republic, Stafford Post No. 225, in Valley Falls, Kansas. The Grand Army of the Republic was organized across the United States at the close of the Civil War by veterans of the Union Army as a fraternal organization that provided support to veterans.